GUSTINE – The play is called “Power,” which accurately describes what Denair’s offense intends to do to opponents. Friday night against Gustine, the Coyotes imposed their will in the second half by running “Power Left” and “Power Right” again and again in a 49-14 Southern League victory. Denair (5-1, overall, 2-1 in the SL) actually trailed 14-7 at halftime, when it regrouped with two of its starting offensive linemen – left guard Hayden Haile (shoulder) and left tackle Zach Cherry (ankle) – sidelined by injury. “We had to shuffle it around. We were scrambling to find that place where we were comfortable,” said Coach Anthony Armas. Typically, that means reverting back to “Power” – a play that Armas, a former offensive lineman, calls one of his favorites. “Power” involves most of the offensive linemen blocking straight ahead while either guard pulls to lead the play, depending on which direction it goes. It’s one of the first plays every football team learns. Reserves Emannuel Zapien (left tackle) and Quentin Parker (left guard) rose to the occasion, Armas said, working with the other offensive linemen to create plenty of space for running backs Hunter Musgrave, Dylan De Silva and Steffin Winston to repeatedly gashed the Reds’ defense. Musgrave had his best game of the season, ripping off 206 yards on 18 carries and scoring three touchdowns. Winston ran 14 times for 84 yards and a TD, and DeSilva pounded Gustine for 61 yards and three more touchdowns. Denair’s defense also had a big role in the romp, forcing three Gustine turnovers in the second half (two fumbles and one interception by Will Knox). The Coyotes turned each of those takeaways into points while holding the Reds scoreless. “We were more aggressive in the second half. We filled our gaps better. We were flying to the ball,” Armas said. The victory moved Denair into a four-way tie with Orestimba (5-1, 2-1), Waterford (5-1, 2-1) and Gustine (4-2, 2-1) for second place in the league behind unbeaten Ripon Christian (6-0, 3-0). RC already has handed Denair and Orestimba their only losses. It plays at Gustine this week while Denair faces another tough road game on the West Side in Newman against Orestimba. Waterford hosts Mariposa. JV Game: Denair 7, Gustine 0. The Coyotes are 1-3-1 overall and 1-2 in league play. This week: It doesn’t get any easier for the Coyotes, who face an Orestimba team that just had its 23-game Southern League winning streak snapped. “They’re talented, especially on the offensive side of the ball,” Armas said. “They’re really aggressive on defense. … It’s going to be tough. It’s their homecoming; they’re coming off a loss. It should be a charged atmosphere. It will be fun.” … Denair has scored 241 points in six games despite being held to only one touchdown in its 35-7 loss to Ripon Christian. … A victory this week would put the Coyotes in a good position for a Sac-Joaquin Section Division VII playoff berth with three weeks to play – home games against Delhi and Waterford sandwiched around a road contest in Mariposa. The Denair High School cross country team will look to rebound from a slow start in the coming weeks. The Coyotes finished sixth Thursday in the first of two Southern League meets at Tuolumne River Regional Park in Modesto. Denair’s team score of 128 (based on the cumulative total of where the five fastest runners finished in the race) left it well behind Waterford (30 points), Orestimba (48), Delhi (56) and Ripon Christian (94). Senior Uriel Gonzalez (22 minutes, 58 seconds) and sophomore Pablo Flores (22:03) finished back-to-back in 21st and 22nd places, respectively. Juniors Brigg Wenstrand (26:13, 35th), Ramiro Diaz (26:16, 36th), Alex de la Torre (28:49, 38th) and Johnny Ibarra (28:50, 39th) also competed on the relatively flat 5K course. Coach Matthew Groom takes responsibility for the results, but he has an understandable explanation – he just returned to school after taking time off around the birth of his son. As a result, practices, training, and participation were sporadic in the past month. Groom credits Gonzalez, the team captain, for setting the right example during practice. Groom expects Flores to challenge Gonzalez as the team’s top runner this fall. That makes sense. As a freshman last year, Flores won the Sac-Joaquin Section title for his class. He will run varsity races during the regular season, but race against only sophomores in the postseason. “I have high expectations for Pablo,” Groom said. Wenstrand and Ibarra are veterans of last year’s team, while de la Torre and Diaz are new to cross country. Both are veterans of the soccer team in the winter; Diaz also competes in track in the spring. A 15-minute documentary profiling three Denair students has been released and is available for the public to see. It was posted this week on the Denair High School Facebook page. In May, a team of documentarians from Ohio spent a week following the students from their homes through their days at school and back again. The goal was to capture teen life in a typical rural American town. The idea was the brainchild of Denair High Principal Kara Backman, whose objective was to shine a positive light on the community as well as her campus. Her voice can be heard on the video along with former Superintendent Aaron Rosander, teachers, and students. The students were selected with the blessings of their families. They are Connor Prock (an incoming freshman at the high school), soon-to-be senior Adrianna Snyder and recent graduate Alex Flores. They were chosen as authentic representatives of the broader student body and community. Prock comes from a prominent farming family with generational roots in Denair. His parents, Joe and Danielle, are both Denair High graduates. His grandfather and uncle both have served on the school board. They operate a dairy with thousands of cows. Connor raises beef cattle, which affords a glimpse into agricultural life. Snyder lives with her aunt and uncle, who adopted her, and their 11-year-old autistic son. She learned to sign at a young age to communicate with her grandmother, who is deaf. Flores is the second-oldest of five children among an immigrant family from Mexico. His older brother was the first family member to attend college; Alex will be the second when he starts this fall at UC Davis. Each segment of the documentary opens at the student’s home with them literally getting out of bed, brushing their teeth, doing chores, caring for relatives and having breakfast before heading off to class. Poignant interviews with their families, friends and teachers are interspersed by information about the community. Background footage and drone videos offer different perspectives of Denair. Backman intends to show the video on the district’s social media sites, at student events or Back to School Nights, at large conferences … anywhere there’s an audience willing to learn more about the many good things happening in Denair. She also said it’s been submitted for a film festival in Ohio. She expects to learn next week if it was accepted. TURLOCK – There are no shortcuts to success for FFA students at the Stanislaus County Fair. Just ask Brielle Prock and Yasmin Mendoza. The two Denair High sophomores-to-be spent more than 50 hours – including three consecutive 12-hour days – preparing their joint entry in the outdoor garden exhibit. Together, they transformed a barren 10-foot by 10-foot plot into a colorful July 4th backyard barbecue motif, highlighted by flowers planted in the shape of an American flag. Their hard work impressed the judges, who awarded them first place in their category and defeating larger teams from Turlock High and Enochs in Modesto. She credited many in the Denair community for their help, including monetary support from the Denair FFA Ag Boosters that allowed them to purchase the flowers. 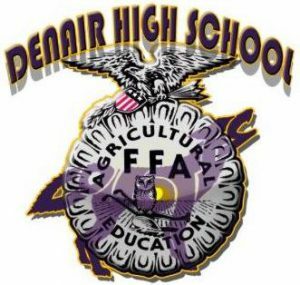 Long days are a common theme for the 41 Denair students who entered livestock or projects into this year’s fair, which wraps up its 10-day run on Sunday. “The fair is kind of an addiction,” admitted Blain Cole, a junior this fall who is the incoming president of the Denair FFA. He’s often on site by 6 a.m. with other students to tend to their animals. He sometimes goes home or leaves to for lunch in the afternoon, but returns later to watch over his Hampshire lamb and mingle with friends. It’s the same fair schedule he’s been on for six years. Courtney Prock, a recent Denair High graduate (and Brielle’s cousin), also is a fair veteran. Her entry this year was an unnamed 97-pound Boer goat she’s had since April. It’s her fourth time showing goats or pigs. She enjoys the competition and doesn’t mind the long days. “My sophomore year was probably the best year,” she said. “All the people showing goats were nice. And a bunch of us played cards and board games” on folding tables near the stalls. 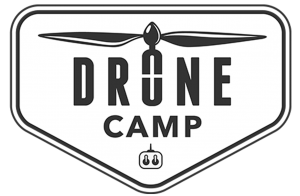 First Annual Drone Camp is Here! 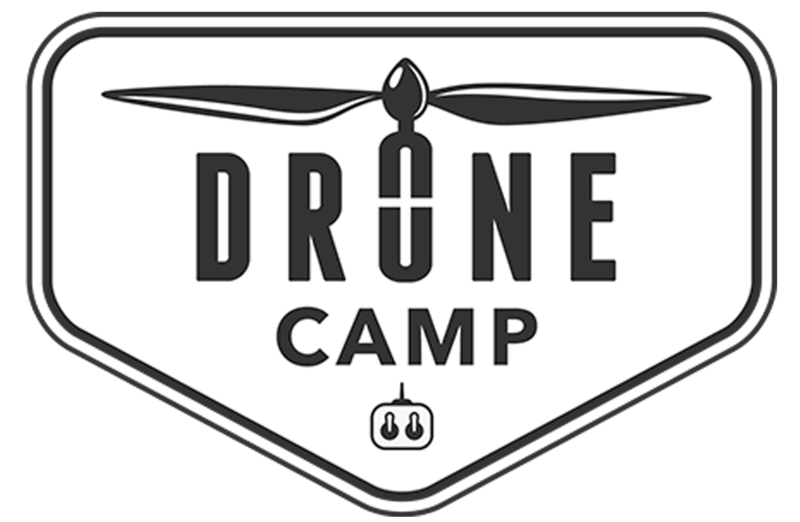 Denair Unified School District is excited to announce that its first annual Drone Camp is here! 50 students between the ages 9 and 15 will be on the Denair High School football field between July 23-27 from 8:00 am and 5:00 pm. The camp is about hands-on learning, innovation and adventure. By the end of the week, students will take to the skies and become an honorary junior drone pilot. Students will practice in flight simulators to learn the controls before flying a drone outside. One of the exercises involves a situation in which students must deliver items to hurricane survivors but the drone only has 30 minutes of battery life left. What to do? Students also will learn how to take a drone apart and reassemble it while learning drone terminology. This exciting and intensive camp conforms to all FAA rules. This is the only camp of its kind between Sacramento and Fresno (there is a 100-mile limit between camps). Come on out and watch our students explore the skies! Time:8 a.m. to noon or 1-5 p.m. Details:This is about hands-on learning, innovation and adventure. Students will take to the skies and become an honorary junior drone pilot. Three free meals will be available for all students.